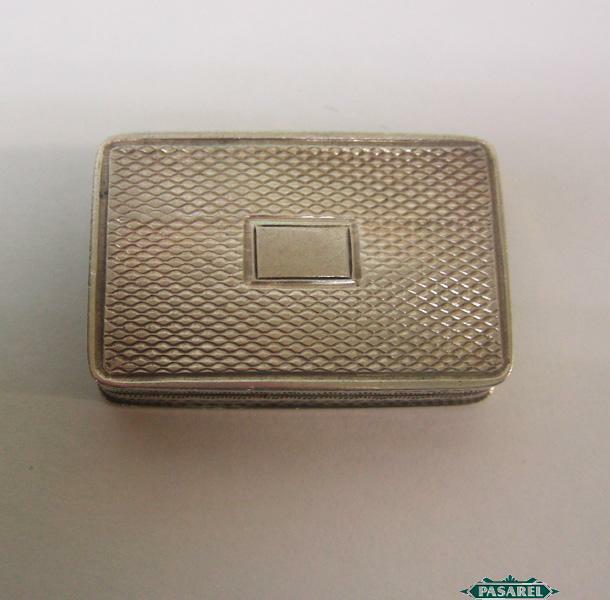 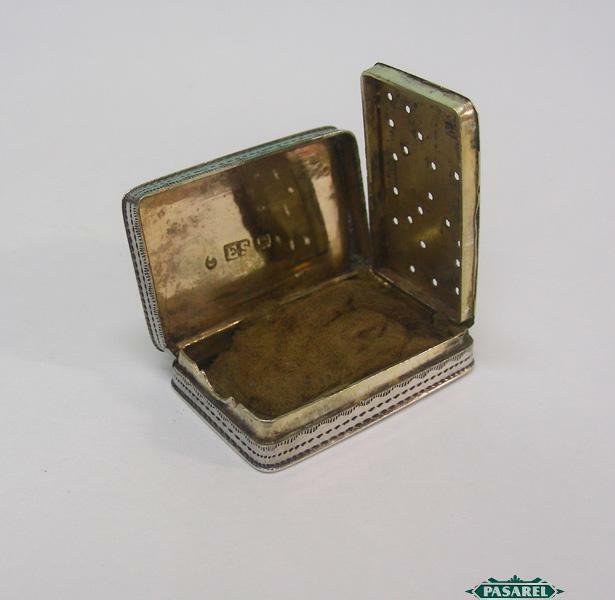 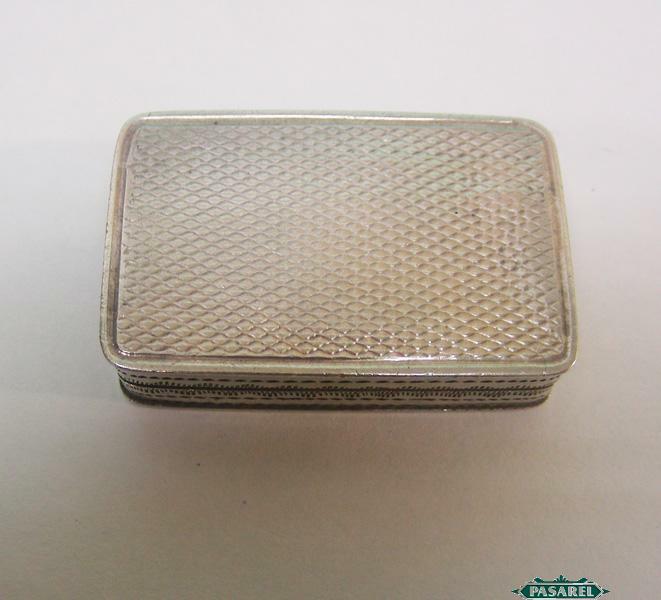 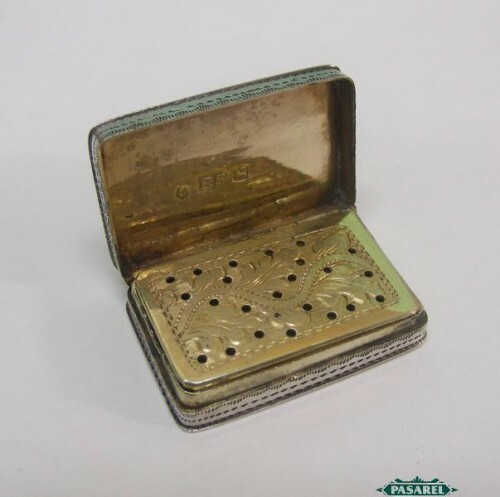 Of rectangular form, with reeded decoration all around, monogrammed cartouche to the hinged lid. 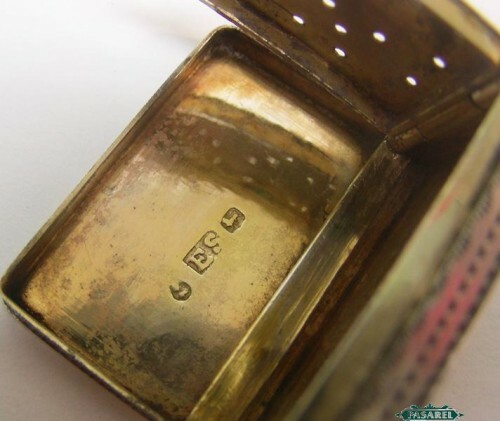 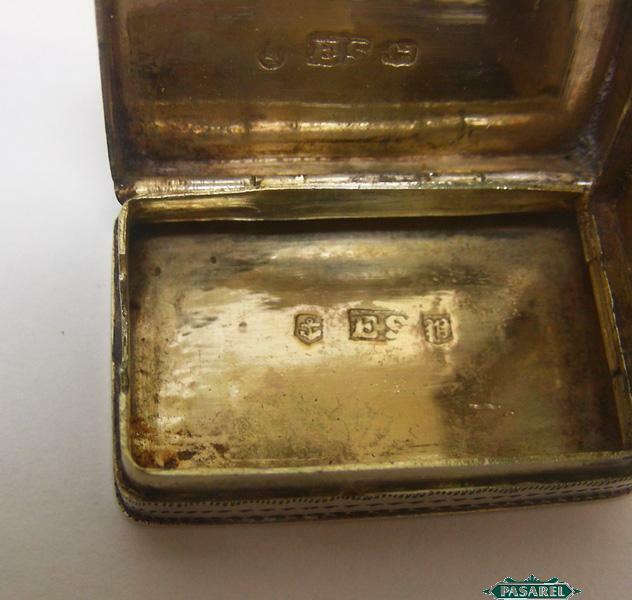 Fully hallmarked for Birmingham, England, dated 1819, maker’s mark for the renowned silversmith John Shaw. Very good, minor ding to the bottom (insignificant).